When you are engaged in video file sharing or just want to have specific video parts from a large file, the best thing to do is to split the video. Video editing is a difficult task. It is a good thing that nowadays there are several video splitter software that help make the task easier. Most are very simple to use and the interface quite intuitive that novices and experienced users can simply load a target movie file, select the parameters according to preferences or instructions and let the software do the work in the background. Here are some of the best software for splitting videos out in the market. 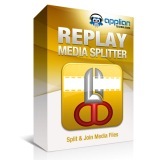 This is a fast tool for splitting videos and can convert files into several formats. Top Video Splitter 2.0 has a clean and intuitive interface. Import the file through the browser, view it in the built-in player to mark the start and end position of the video to split and select a file directory where to save the clip. While you can configure the audio and video settings, it is not possible to cut the video into parts of equal size. Likewise, it is not capable of splitting videos by custom time. Still this is one good video splitter software for experienced and novice users. Videos are split by manual or automatic method and you can fully customize the output files. You open the selected video file, decide which splitting method to use and click the split button. In automatic mode you can select an option, such as the quantity of the clips, length of the clips or the weight of each clip in kilobytes or megabytes. You have the choice to select which output format to use or change the settings such as AVI or MPEG, PAL or NTSC, as well as the audio codecs required. 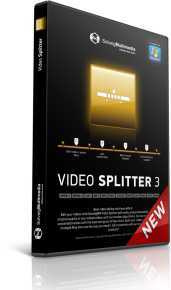 Easy Video Splitter 2.01 supports most of the popular video formats. 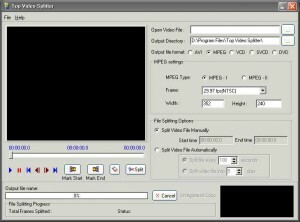 The process includes importing the source file, creating or defining the save folder and indicating the start and ending of the video. User can choose to set the video split by a specified number of clips, allow the application to automatically determine the length of the parts or choose the length of each video part and let the application determine the number of resulting video parts. Boilsoft Video Splitter is capable of handling video files that are larger than two gigabytes. Video files are loaded by both methods. The tool is also capable of video trimming. Almost all types of video files are supported by this program. It is capable of cutting videos into equal parts and either use the encode mode or direct stream cut when splitting. However, it is not possible to change anything on the video. The application is simple and straightforward, allowing the user to split a file into as many parts he wants. It supports drag-and-drop as well as loading from a file browser. You may delete an unwanted split point and clear all the split points if you want. Splitting is done by determining the duration of the video, by setting the video size or by specifying the number of clips. Batch processing is not available. The application is able to handle almost all video formats. It supports both methods of importing a file. It allows volume adjustment as well as set it to silent. User can calculate the file size of the parts, change the time format and use a time calculator. Zooming in and out and ignoring errors in trimming are possible. It supports many keyboard shortcuts and is even capable of combining different media files of the same format. Its simple interface hides the fact that Okoker All Video Splitter is a powerful, professional class video splitting program that can also trim videos. It does not support the drag-and-drop method but is capable of batch processing. You can determine the start and stop time of the video split as well as check the total time and the status of each part of the clip. It can be set to automatically create the video parts, clear the entire queue or remove an item from it. It is also possible to customize the video play time. Ultra Video Splitter has the capability to split the videos in different ways. You can do it by specifying the length range of each part (multi clips or one block), by size (megabytes) or by time, including time in seconds. The main difference of Ultra Video Splitter with other programs is its capability to change the output file’s format and adjust the quality of the video and audio levels before splitting the file. It is also capable of configuring the settings of the audio as well as the subtitles. As long as the subtitle has the same file name as the video and place in the same root directory, the program can automatically load it. SolveigMM Video Splitter is not only a video splitter; it is capable of joining video and audio files as well. It supports multiple formats, both methods of file loading and batch processing. A slider allows a user to go back and forth, it can zoom in and out and video the video frame-by-frame. It allows you to invert time line fragments, calculate destination file size, set audio silence, ignore trimming errors, enable logging and obey time samples. Additional features include support for new video formats, masking output file names and repairing Windows Media files. Allok Video Splitter has the power to handle both splitting and converting video files to AVI, 3GP, VOB, CUE, BIN, MP4 and WMV. It can likewise handle many DVD and CD formats. It can open almost all video file formats. The program allows the user to set the resolution and video quality, the frame rate as well as the audio quality. Clips can be processed by predetermined number, by size or by duration. However it does not do batch processing. Drag-and-drop is also not supported. While video editing is a tedious task, the availability of different types of video splitter software gives you the luxury to choose which one is right for you based on your abilities and needs. Check out reviews, read user comments and product specifications to help you decide which one will work best, whether you are still a novice or already experienced in the task. Bandicut is my personal favourite – lossless, quick and free! In the future it will support splitting via multiple selections and joining.